I was recently challenged by Bosch Athlet to show you how much mess our family can make while having some creative fun! Now with the builders in we are already in chaos, with plaster dust and stuff just everywhere, so what was a bit more mess to add to the equation? 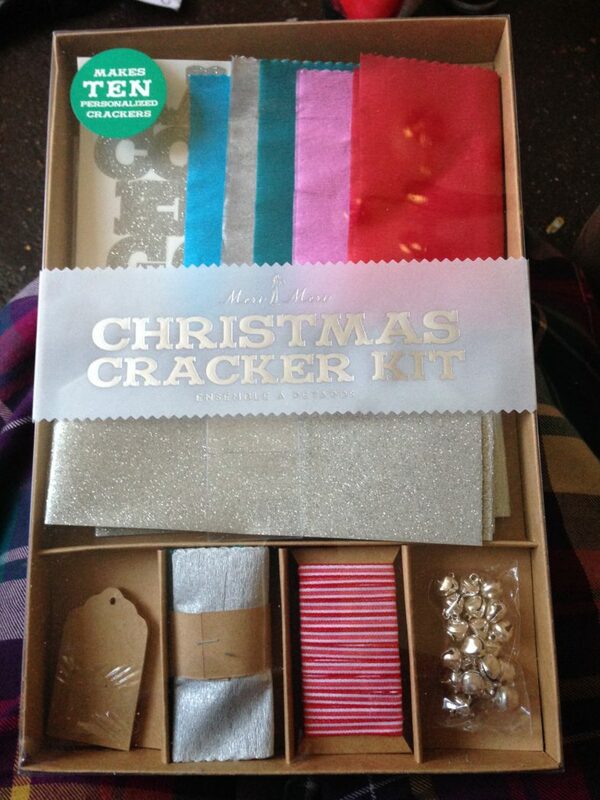 We were sent a “create your own Christmas cracker” kit. The instructions were simple, but when you have all the pieces laid out in front of you it’s all quite self explanatory. Which is lucky because O had claimed them as his own and hidden them behind the sofa at one point! O is a bit young for this craft yet, so we set him up with some sticking and gluing, which has become his favourite craft activity recently, to give the big kids some time to create their masterpieces without him ‘helping’. We put together a little photo montage of the fun we had. You may notice that actually, just the act of keeping a toddler occupied can turn out to be much more messy than the intended craft for his older siblings! As you can see, the sticking and gluing didn’t keep him occupied for long. The chalking comes up pretty well with a wet cloth but always leaves a layer of chalk dust over the floor, the sofa, well just everything to be honest. The balloon, which I cleverly filled with rice to make a lovely noise, lasted all of about 5 minutes before it popped, spraying the rice everywhere! But I did find it at the back of the craft cupboard and had probably definately been there for at least a decade! We currently have an 8 year old vacuum cleaner, which is on its last legs (only the wand bit works) so I had to use a good old fashioned sweeping brush to clean up all the mess so a brand new Bosch Athlet really, REALLY, wouldn’t go amiss in this house! We were sent the cracker making kit for the purposes of this post, which is my entry to the @BoschHomeUK #ShowUsYourMess competition to win a Bosch Athlet vacuum cleaner.